My Comments/ takeaway from the interview: Jen Gundrum is a student athlete at The College of Saint Rose with a passion for her major biochemistry. She is very committed in her sport and does all she can to further her education and excel on the volleyball court. “First-year we had a very strong team and played well throughout the season. We peaked earlier on in the season and when playoffs came our weaknesses were exploited by other teams. My second-year was weaker and stronger in certain ways. The mentality and team culture was very strong and we overcame some bumps in the road to make the NCAA tournament. This year we have a lot of talent and potential on the team. Our main issue was finding our team identity and have had to make adjustments down the road. I feel confident going forward that we can achieve our goals and take them even further,” Gundrum said. “All the success I have is owed to my teammates. I have learned how to work with different types of people attempting to achieve the same goals and aspirations as me. We keep the intensity going in practice. 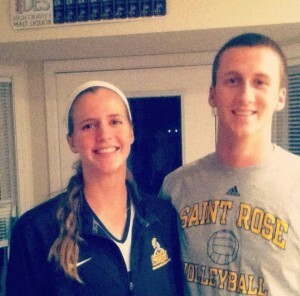 Volleyball has helped me develop friendships off the court and have people I can rely on. We’re like a family,” Gundrum said about her team’s influence on her. Jen is very thankful of her team and credits her success to them. During my interview with her I quickly learned that she is all about giving and not taking. She works as hard as she can not only for herself, but for her teammates as well. She is a very energetic and smart person. 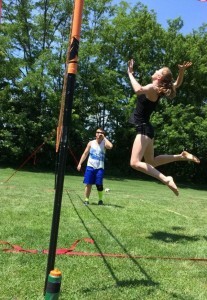 She knows the aspects of volleyball inside and out. She is one of the better personalities I’ve seen on this campus and for Saint Rose to have a person of her caliber is a huge boost in many ways. Jen is a very humble woman, but don’t let that fool you because on the court she will prepare herself as best as she can to pick the opposing team’s defense apart. Good luck to Jen and the rest of her team this weekend in their two home matches, Friday night at 7pm and Saturday at 1pm in the EAC gymnasium! #gogoldenknights. 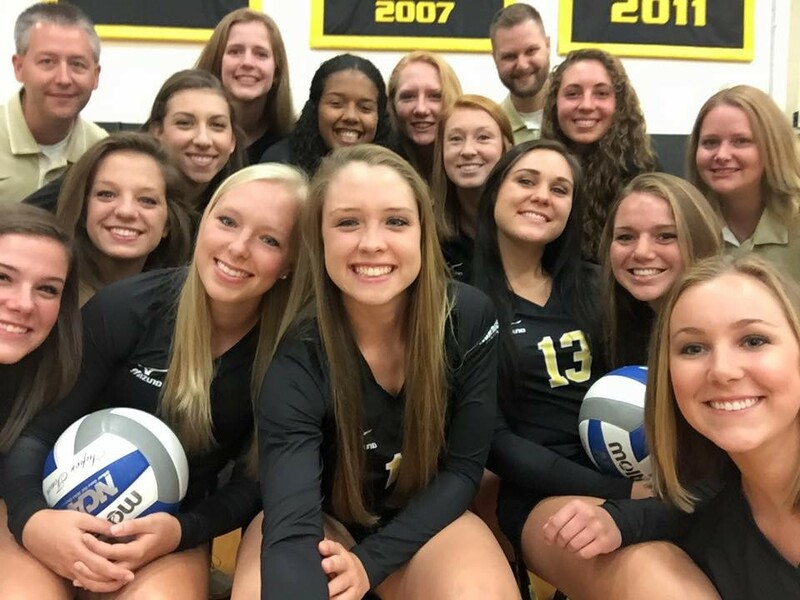 The 2015 Saint Rose Volleyball team!